This is PRO version of famous (or infamous) grid strategy used by social traders. 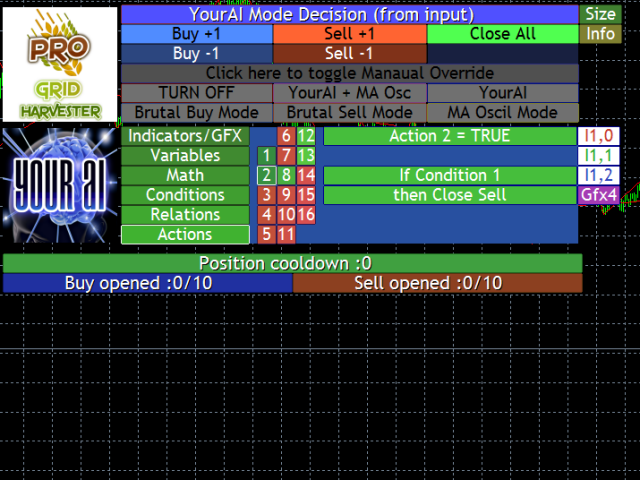 It contains YourAI module that lets you construct your own logic with almost every indicator from the market or code base! Use it in classic Grid Trading style or build your logic from scratch. Dozens of presets built-in for the grid harvester. Both Grid Harvester and YourAI config files are fully compatible with Grid Harvester PRO, as it combines their functionality. Grid Harvester's goal is to harvest most out of trending market (on automatic mode) taking advantage of corrections in trends. It can be also used by experienced traders on manual trading. Combine your trading experience with this automatic strategy! It contains grid that is easily scalable on different currencies. You can also build grid on your own from scratch! Grid strategy can be tested in Open Prices Only mode with low modeling quality (the results are only slightly different). Thanks to that possibility, you can test millions of combinations in no time. While looking for a suitable grid on every tick can take months, this strategy allows you to find good solutions even on very slow computers. The strategy also supports stop loss option not to get wiped out completely. The Expert Advisor is easy to configure for basic use, but allows complex optimization and AI creation. 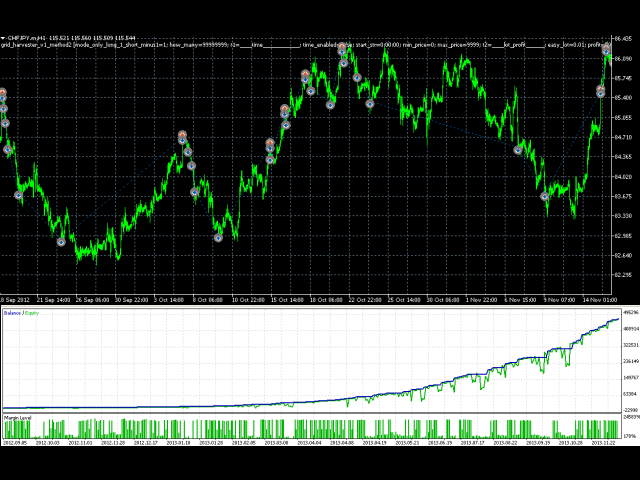 Send me private messages for more details and ask for Metatrader optimization video tutorial. Become a successful signal provider with tons of subscriptions or simply trade your own account and make big profits with a well-known system. Watch YouTube presentation and screenshots. You need to use a little brain to have results with this strategy, not just run it wild. Or "run it wild" only when you think the up/down trend is going to continue. 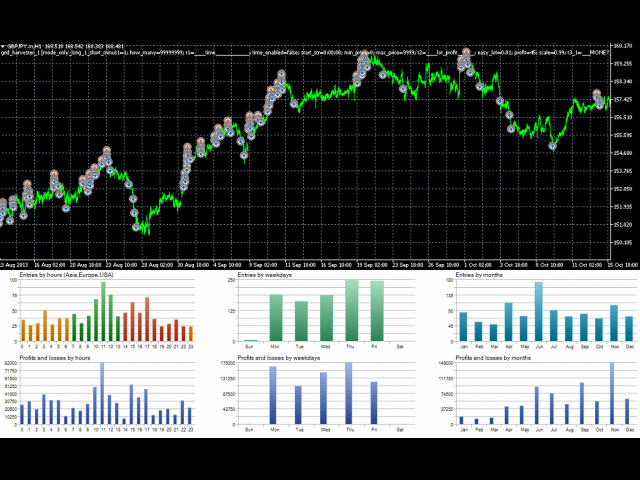 This module allows You to create your own source of signals, instead of using oscillation mode or brutal-force buy/sell mode. Use most indicators from the market or from code base! 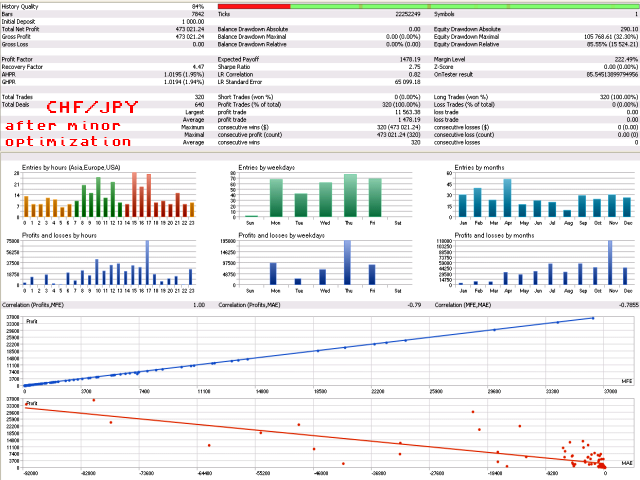 Create your own conditions or sets of conditions, set filters limiting trade or closing all trades right away. If you don't know how to implement your indicator please contact author for help or for video tutorial. This is a powerhouse EA! Has a VERY steep learning curve, but after you learn your way around it, you'll come to love it's vast capabilities. 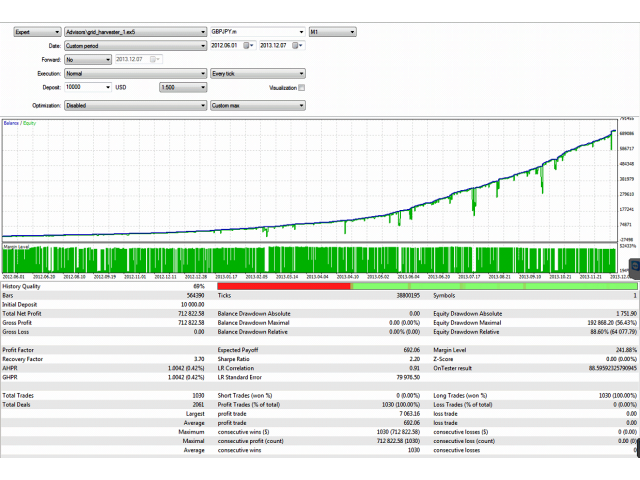 Has multiple levels of risk management and even "sandboxing" of account balance risk for individual charts built in to the money management feature...useful for helping you not blow up your account. :-) After testing and using dozens of EAs and always finding a hole, Grid Harvester is the one I use the most because you can plan for pretty much every contingency. I'm sleeping well at night again after putting this EA in play, which if you're an active trader, you'll appreciate. Use your solid money management skills along with Grid Harvester and "Reap The Benefits" of Forex trading. changed my views about this EA, i tested it with currency pairs, and found not useful on different pairs. wasted money here. 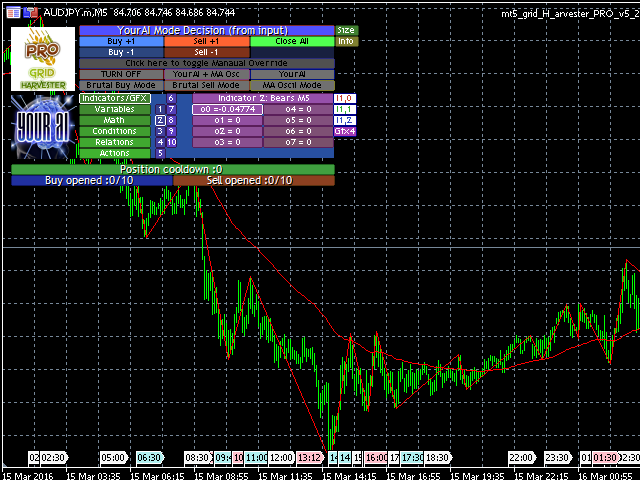 - critical update for trading mechanism, update from 5.36-5.38 as soon as possible.